Neve’s premier analog console expertly emulated – featuring Unison™ mic preamp modeling. The Neve 88 Series is a paragon of large-format analog console design. Introduced in 2001, the 88 Series is renowned for its startling depth, airiness, and clarity — deftly encompassing the best of all Neve designs that came before it. 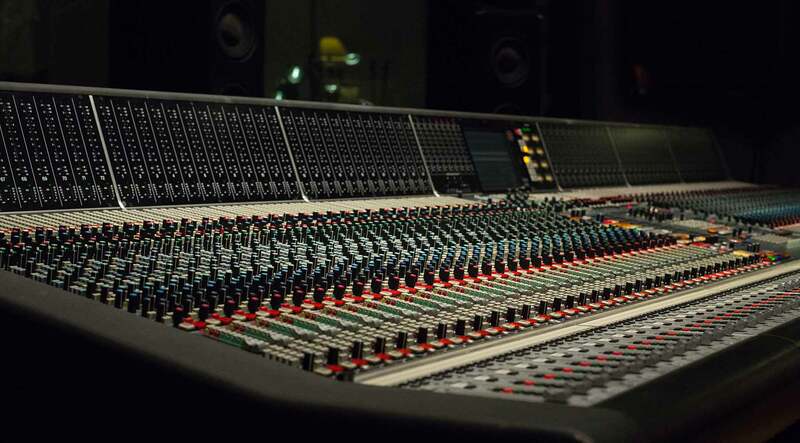 Not surprisingly, Neve 88 Series consoles are found in some of the world’s finest studios and scoring stages, including Skywalker Ranch and Capitol. Now for the first time, you can track through an authentic emulation of this modern masterpiece — complete with its famous mic/line preamp, cut filters, dynamics, four-band EQ, plus post-fader output amplifier — exclusively for UAD-2 hardware and Apollo interfaces. Universal Audio’s all-new Neve 88RS Channel Strip for Apollo and UAD-2 precisely emulates the unique circuit behaviors of Neve’s flagship large-format mixer. Modeling the mic/line preamp, cut filters, dynamics, four-band EQ, plus post-fader output amplifier with fanatical detail, the Neve 88RS Channel Strip plug-in replicates the luxurious, high-fidelity sound of Neve's ultimate mixing console. Harnessing UA’s groundbreaking Unison technology, the Neve 88RS Channel Strip Collection gives you all of the 88RS mic/line preamp’s impedance, gain stage “sweet spots,” and circuit behaviors that have made it the modern benchmark in analog preamp design. The secret is Unison’s bi-directional control and communication from the Neve 88RS plug-in to the physical mic preamps in Apollo. And the results are nothing short of spectacular. The 88RS is outfitted with broad range, minimum-phase 12 dB high and low cut filters to shape any signal during tracking or mixdown. In addition, Neve's famed Formant Spectrum four-band EQ, perfect for ambitious tonal strokes or precise surgery, offers classic Neve color on any source. With versatile and musical VCA-type limit/compress and gate/expand modules, the 88RS’ dynamics sections can precisely tailor any source; transparently smoothing a lead vocal, bringing excitement and immediacy to a percussion bus, or even providing frequency-dependent gain reduction for de-essing. Of course, the Neve 88RS Channel Strip Collection isn’t just for Apollo owners. UAD-2 owners can use the Neve 88RS Channel Strip for amplification, EQ tone shaping, dynamics control, or adding the Neve sheen to any source, without going outside the box. With the Neve 88RS Channel Strip's complete console channel emulation, plus the included DSP-lite Neve 88RS Channel Strip Legacy, you can craft your projects with the stunning analog clarity of the 88RS. After spending a couple days with this I've basically decided this plug-in does everything better than every other one of my plug-ins. I also own and regularly use most of UA's other plugins. It's a lot better than the old 88RS too. Huge release. Definitely buying. After install and compare both versions i must say....WOW!! !...what a transparency, so nice and warm. The new 88RS melt the sound together. The low end ist much tighter and smoother. Time for me, to get this new version of the Neve 88RS. Sounds fantastic and provides an outstanding value to all of us running in the box workflow. Preamps are just phenomenal! Output fader provides for additional analogue desk, "Neve" feel, which is seriously a nice, if not key, feature. Although, heavy on DSP as all the other Unison technology, but worth it. My new go to Strip! However, as already expressed by other users, REALLY UNFAIR upgrade pricing for all of us existing UAD supporters and strip owners. Before buying, I ran extensive tests on this new 88RS, comparing it to UA's original 88RS (which I bought a year ago), and to UA's API Vision, SSL-E, and 610B. I also ran comparison tracks with 2 outboard channel strips - an Avalon 737sp, and a Focusrite ISA430 MkII. When I heard the difference, I immediately bought the new 88RS. And I posted 20 comparison tracks on the UAD forum for everyone to listen to these tests. I couldn't imagine why others gave it only 1-star. Then I read through all of the "bad" reviews. It had nothing to do with quality of sound! Nothing. They all complained about price, without ever trying the new plug-in. How crazy is that? With discounts and coupons, I only paid $74 for this excellent 88RS MkII.